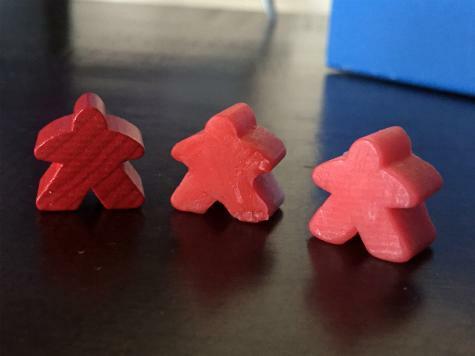 I love your wonderful product :) We had lost a "meeple" from our Carcassonne game, and I use Plastimake to replace it. I tried at first to make the mold using Plastimake, but that was less successful. I ended up making the mold from silicone, and the Meeple from Plastimake, and it’s perfect. I’m sending you a picture of the original wooden part (on the left), and the 2 plastimake castings I made from it.